Customer Effort Score is a metric used to measure customer satisfaction using one single question. 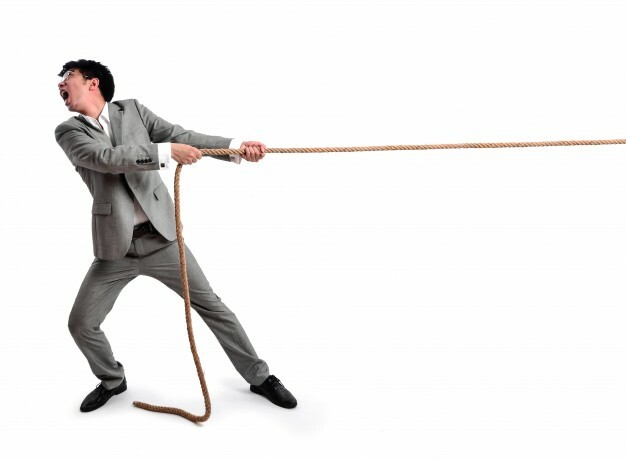 The idea is that companies create loyal customers by reducing customer effort. Customer Effort Score (CES) is a vitally important metric used to measure customer service satisfaction with one single question. The main principle behind this is that organizations can create loyal customers by reducing customer effort. There are two main questions used to measure CES. Do you agree or disagree with the following? The organization made it easy for me to handle my issue. Version 1 was the original question designed in 2010 with a rating scale of 1 (very small effort) to 5 (very big effort). This inverted scale caused confusion for some though. (1 is good and 5 is bad). How Does Wizu Do CES? Wizu allows you to create a Customer Effort Score survey in a few simple steps. You can then follow your score and the insights around it in real-time. 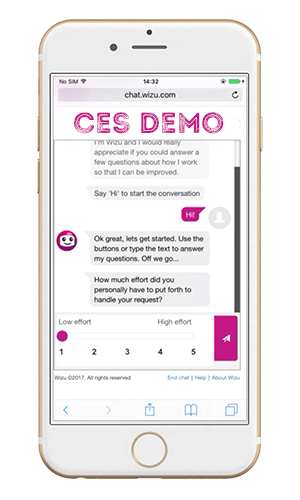 Your CES question or questions can be placed inside a conversation in order to gain greater insight and can also be combined with a Net Promoter Score question. The question can be adapted to be more meaningful for your specific context and where possible it is beneficial to add personalization. Version 1 CSAT- This conversation has included the customer first name in the introduction and is using the Wizu bot. This version has also added an additional question. Version 2 CSAT – This conversation is utilising the customer title and surname to provide a more formal greeting. They are also using a different bot with a human name and appearance. Get in touch with us to talk through your requirements or just to see how Wizu works behind the scenes.